The WTO specifies that “intellectual property” should be protected when trade is involved. Thus, through the TRIPS, the WTO makes it obligatory for all its member countries to follow basic minimum standards of IPR provided for under TRIPS and bring about harmonisation of domestic laws in this field. Trade-Related Aspects of Intellectual Property Rights is an important outcome of the Uruguay Round negotiations. The TRIPS Agreement talks about a wide range of Intellectual Property Rights which includes traditional right like patents, copyrights, trademarks and industrial designs as well as new subjects like geographical indications and trade secrets. The TRIPS Agreement, which came into effect on 1 1995, is to date the most inclusive multilateral agreement on intellectual property. The TRIPS Agreement introduced global minimum standards for protecting and enforcing nearly all forms of intellectual property rights. At the time that negotiations began, over 40 countries in the world did not grant patent protection for pharmaceutical products. The TRIPS Agreement now requires all WTO members to change their laws to the minimum standards of IPR protection. In addition, the TRIPS Agreement also introduced detailed obligations for the enforcement of intellectual property rights. India signed the Trips agreement mandated by the World Trade Organisation (WTO) in 1994.The WTO’s TRIPs agreement became binding from 2005 onwards for India. The country got a ten-year transition period (1995-2005) to change its domestic law according to TRIPs. India got additional five-year transition period as it did not have product patent regime in a critical sector like a pharmaceutical. So, existing laws were revised and fresh legislations were introduced during this period. Trademarks: A new Trademarks Act 1999 has been enacted (The Trade and Merchandise Marks Act, 1958). Copyrights: The Copyrights Act 1957 has been amended in 1983, 1984, 1992, 1994, 1999 and 2010. The latest amendment of 2010 became effective from 2012 onwards. Geographical indications: The Geographical Indications of Goods (Registration and Protection Act) 1999. Plant Varieties: The Protection of Plant Varieties and Farmers’ Rights Act 2001. 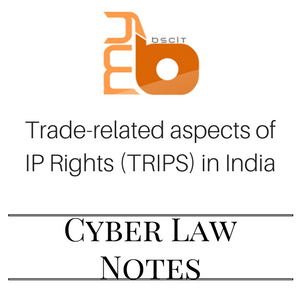 Trade-related aspects of IP Rights (TRIPS) in India - Cyber Law Unit 2 as per the syllabus of Cyber Law. 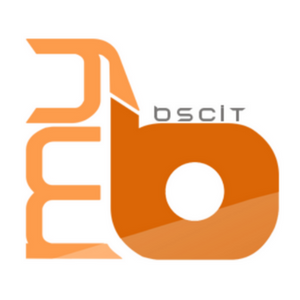 Download notes of cyber law and project management at mybscit.com.